Tata Sons' chairman emeritus Ratan Tata has made an undisclosed personal investment in Jungle Ventures-backed Crayon Data, a Chennai- and Singapore-based big data analytics startup. “We are excited and honoured. 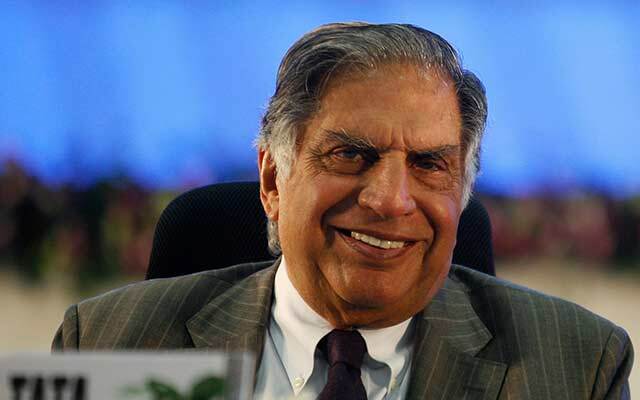 To have our vision validated by Ratan Tata is an accolade in itself,” said Srikant Sastri, co-founder of Crayon Data. “Tata is one of the most respected names in business and this investment is part of his goal of encouraging the ecosystem of entrepreneurship. It is an endorsement of what we are building,” Suresh Shankar, another co-founder of Crayon Data told VCCircle. “Apart from Tata’s investment, we will benefit from his expertise and time. Going forward, his endorsement too will help us in a big way,” he said. According to him, the company will use the investment to expand its core product Maya, develop a new product and expand its sales network. Most recently, Tata invested an undisclosed amount in Sabse Technologies Inc, a US-based firm started by Hotmail.com co-founder Sabeer Bhatia. Crayon Data was founded by Sastri and Shankar in 2012. It had previously raised around $10 million in funding from institutional investors such as Jungle Ventures and Spring Seeds. Anurag Srivastava of Jungle Ventures said, “We have always strongly believed in Crayon’s proposition. Srikant and Suresh, with their experience in marketing and analytics, have always had a clear vision of the value Crayon can bring to consumer-facing enterprises. Ratan Tata, after retiring from Tata Sons, has been one of India’s most active startup investors. He has been building a portfolio of new-age businesses across sectors ranging from consumer internet – particularly e-commerce – to social impact, e-health and clean-tech sectors. Tata made his first investment in Swasth India in January 2014, according to VCCEdge, the data research platform of VCCircle. Since then he has invested in many marquee startups, including Ola, Snapdeal, Xiaomi, Paytm and Urban Ladder, among others.